We’d love your help. 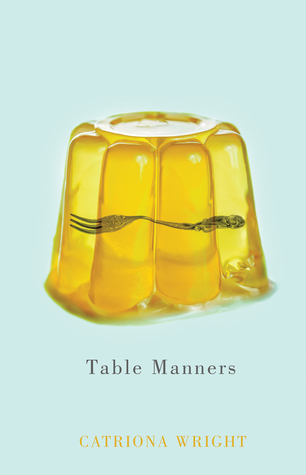 Let us know what’s wrong with this preview of Table Manners by Catriona Wright. To ask other readers questions about Table Manners, please sign up. This is a must for readers who like to stimulate all five of their senses, or who enjoy culinary fiction and other related genres (a guilty pleasure of mine). I've never read prose-poetry quite like this; what a relief it is when a new writer isn't pretentious or preachy about the meaning of love and heartache, and instead wants to delve into the human Id so to speak. I'm not going to say it was *amazing,* but it was definitely refreshing. I will be on the lookout for her next book. She is. Absolutely. I loved this book.